Customs Inspection at exporter’s factory. Is customs inspection required for export? Under normal circumstances, any goods moved out of a country need to be inspected by customs authorities of exporting country. However, under special schemes, such examination of goods can be exempted. The exporter arranges customs authorities if required, to inspect the cargo or supervise stuffing at his factory premises, after necessary ‘approval for customs authorities for factory stuffing’. Normally, if customs inspection carried out while stuffing cargo, the further examination procedures is not required again at port of loading, as the customs authorities verify whether the ‘seal’ of closed container is ‘in tact’. If examination of goods not taken place while stuffing the cargo at shipper’s premises, the said inspection is carried out at the loading port either by de stuffing the cargo or in loaded container, as per the advice of customs authorities. The exporter is also allowed without inspection of cargo anywhere by customs authorities under Risk Management System (RMS). Read my article about RMS separately to know more about this. 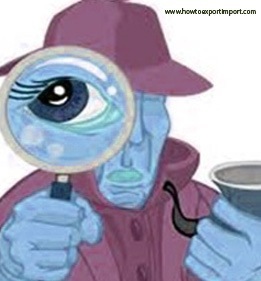 Do you wish to add more information about Customs Inspection at exporter’s factory? Share your experience on examination of export goods by customs authorities. Comment below your thoughts on this subject - Is inspection of cargo required by customs for factory stuffing? Prashanth bhat: On 15 January 2014 Sir, is it possible for a manufacturer exporter with EH status to do obtain factory stuffing permission without the excise inspection each time on a self declaration basis ? Surendran Kollerath: On 09 March 2014 Hi Prashanth Bhat, You may contact the authorities to know the present facilities about self sealing without physical inspection by excise authorities. Manoj Jacob : On 13 February 2015 I have been working in Saudi Arabia since 15 years as a Asst.Procurement Manager, since I have the good experience in Import & Export I would like set up a trading for imported items Kerala, I know all the international trading terms & payment methods and I am also familiar with the import & export procedures in Saudi Arabia, but I am little bit worried about Indian customs and the duties.I would like to apply for IEC to import LED lights and solar lights from China. Kindly advise us the difficulties of importing the material in India. Also if I apply the IEC in my name, I should be there in the customs for all the clearance?